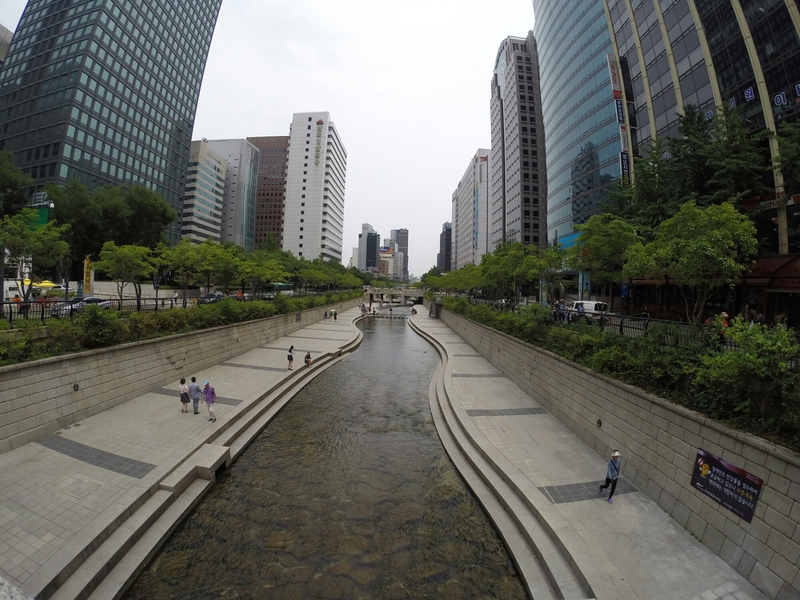 This was a stream that ran through downtown Seoul, Korea. It was made a part of an urban renewal project and I think it was a fantastic idea! People were there enjoying the water. It’s a quick little getaway from that fast-paced city life and it makes the city a little more….scenic. Of course, we’re talking about Asia here, so not to knock on my own people here in America, but I doubt it would stay as clean if a river were to run through downtown L.A. This is actually a disappointing and sad thought. Food. Makes Every Place The Happiest Place.